Today is a very special day in the Jaggers family. My little Jackson is 11 years old today! I am shocked at how fast time has went by! Hes growing up more and more with each passing day. So I thought instead of just doing a normal birthday post, I would write him a little love note.. that hopefully he will one day read and cherish. Right now you are in school....sorry but you played hookie yesterday and have no school Friday so you are not getting today off too! But guess what!? ITS YOUR BIRTHDAY! And its a marvelous day. You are growing up into a lifetime with so many opportunities and I hope you reach for as many of your dreams as you can. 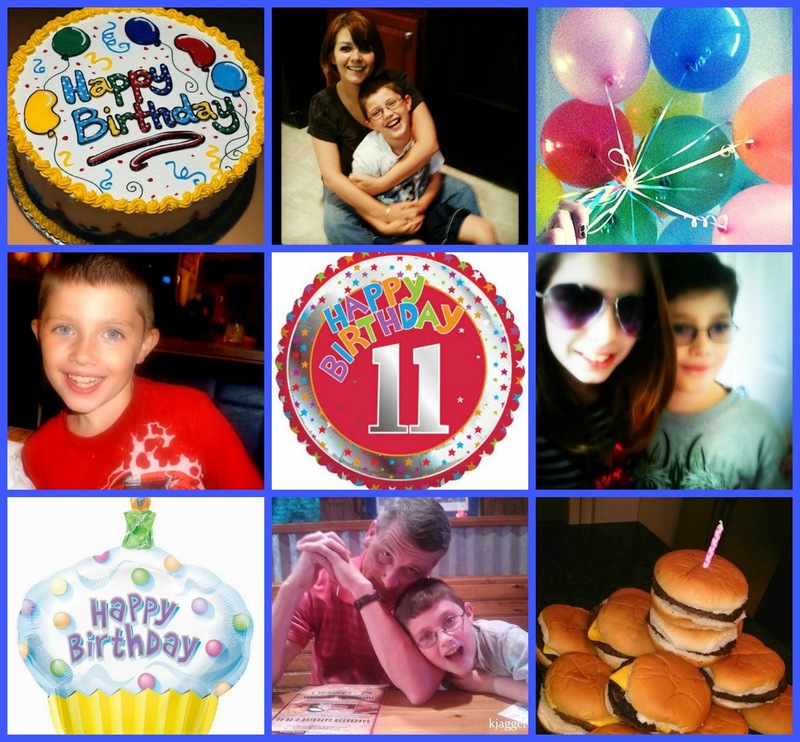 For 11 years now, I have watched you go from a premature baby boy, to a crawling cuddly toddler, and then on into the years of wild action Jackson! You have been more of an adventure than any of the other kids and your sweet smile so is infectious. No matter how many times I make you mad or how many times you hurt my feelings, you will always be one of the greatest loves of my life. You and your sister are the best things I have ever done and I feel blessed to have a little boy I adore....even on the bad days. I hope you don't rush to grow up and remember that having fun and making memories is so very important. Take your time. You have your entire life ahead of you. You are French and Dutch and don't ever let anyone tell you different. Our world is filled of so many beautiful cultures and people. Take time Jackson to learn about others. You are no better than anyone else but you are a extraordinary person who has so much to offer. Keep using your manners and remember that other people have feelings too. I know the past few days have not been so easy for you and I but keep your heart full of love and kindness. You have to work to make this world a better place for your children one day at a time. Leave it better than you found it. Try to remember that its ok to ask questions, to form your own thoughts and opinions, and try to not worry about what others think. You have to make your own path...not follow the path of others. Its ok to try new things. There are other foods besides chees burgers and tacos! There are so many choices... don't miss out on trying new and different things. This life is one big lesson...and we have to figure things out as we go. Have faith in yourself that you can do whatever you want. If you put the work in, you will see the results. You have the love of a family, which is more than some. Remember that we will always always love and be here for you. We will always listen. We will always forgive. I love you more and more with each passing day. You have given meaning to my life that I honestly never expected. Thank you for all the smiles and laughs and thank you for the hard times too. Normally the greatest lessons are the hard ones and there is nothing we can't do together. I love you and I hope you have a wonderful day.